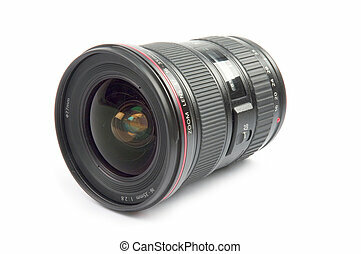 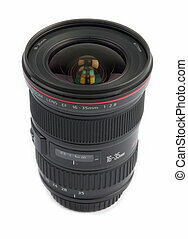 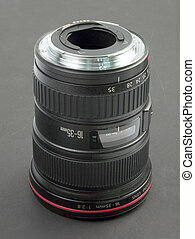 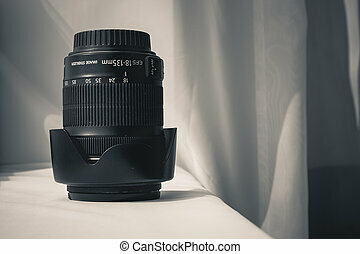 Camera zoom lens. 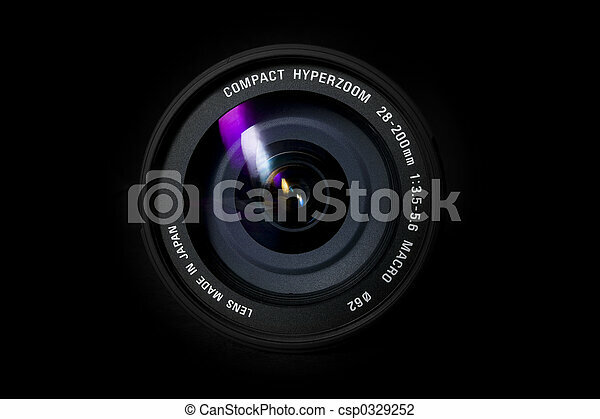 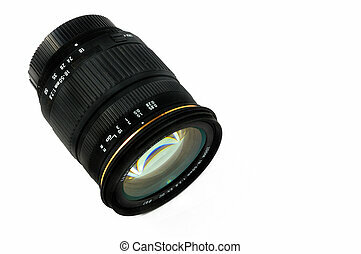 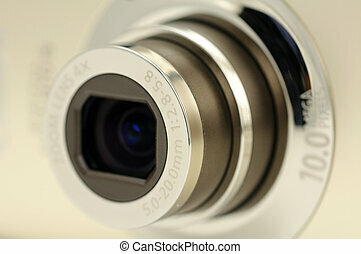 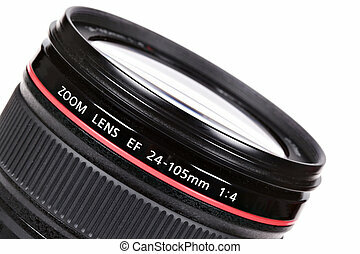 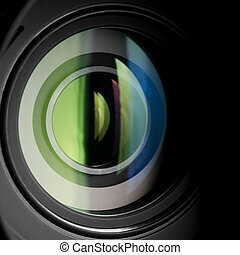 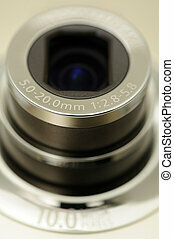 A camera zoom lens on a black background. 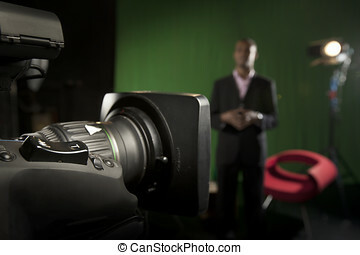 Foreground television camera zoom lens with a presenter out-of-focus in the background. 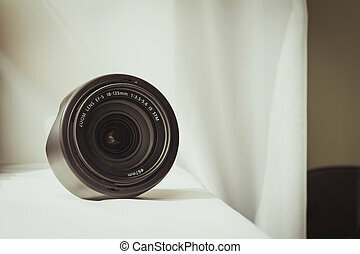 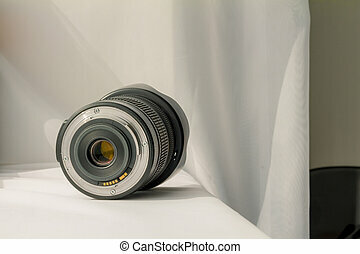 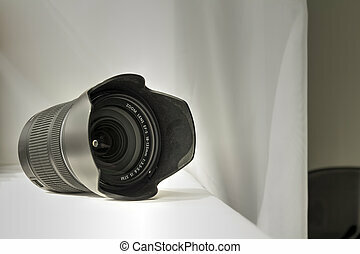 Black camera zoom lens on white cloth.